﻿Located at cross junction used to be an advantage in the past for bringing more business because a cross road is normally more crowded and able to catch people's attention for numerous directions. That was true when there were more pedestrian than vehicle on the road in those old days. Situation has changed when the roads are now full of roaring motor vehicles and cross roads turn into traffic light junctions. 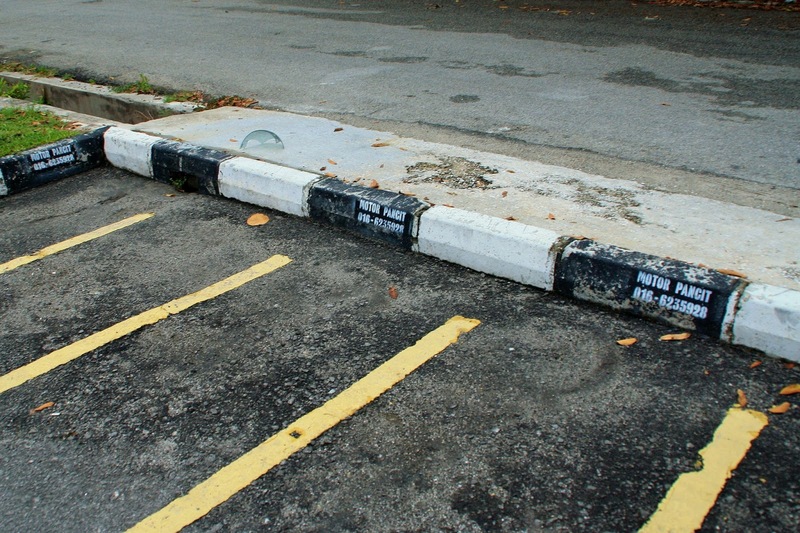 It is now becoming dead zone where no parking is available and not people are too lazy to walk from distance. These 3-storey shophouses at Lahat Road are probably the "victim" of modernization and most are unoccupied. Eventually, it may bite the dust and replaced by some eyesore buildings, just like the one adjacent to it. It's currently rainy season. If not every day, at least it would rain in alternate days. The typical weather profile during rainy days would start with a sunny morning, followed by thunder storm in the evening and finally a cool night. This works very well for me as the weather wouldn't be to warm or too cold. 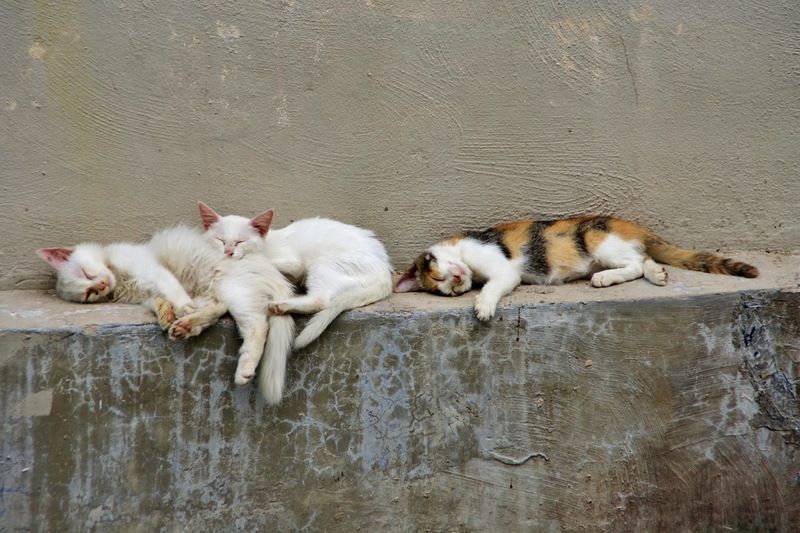 In the afternoon, the kittens would feel just like us, lazy and sleepy in the afternoon. And it's real good to be able to take a short nap before the storm comes. I have seen an increasing trend of people selling crops such as fruit & vegetable on their own vehicle. Recently there are many cars or vans carrying durian and stop by at strategic locations for business. Sometimes there are something different, in this case, stink bean. 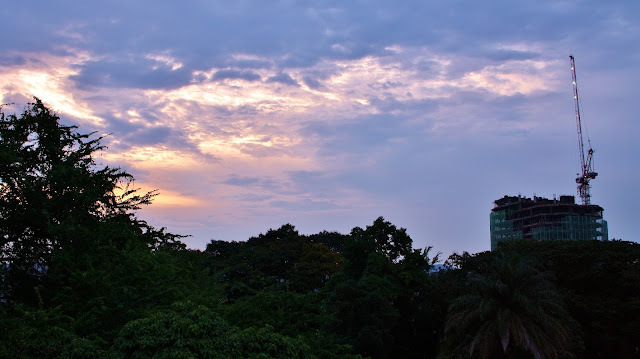 And this is seen in downtown, not at city outskirt. The seller could be a farmer, I guess, that might be getting better profit by selling directly to the public since personal transportation is so common nowadays. 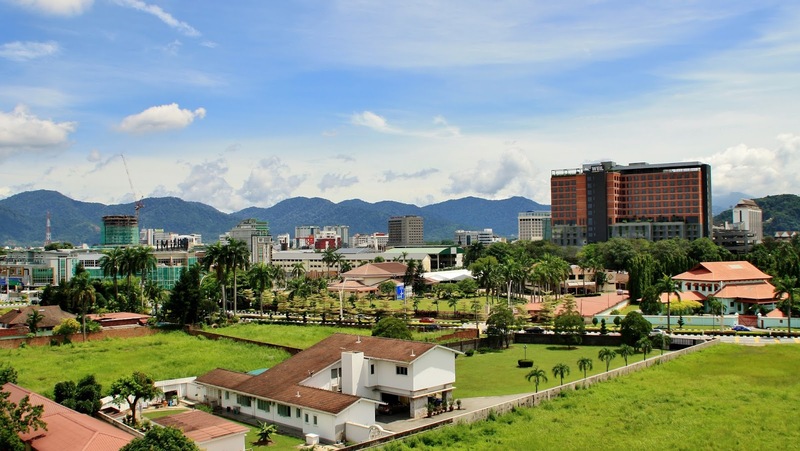 Medan Ipoh or Ipoh Garden East has been one of the most happening spots in Ipoh. There are restaurants, pubs, hawker centre, amusement centre & shopping complexes at the vicinity. 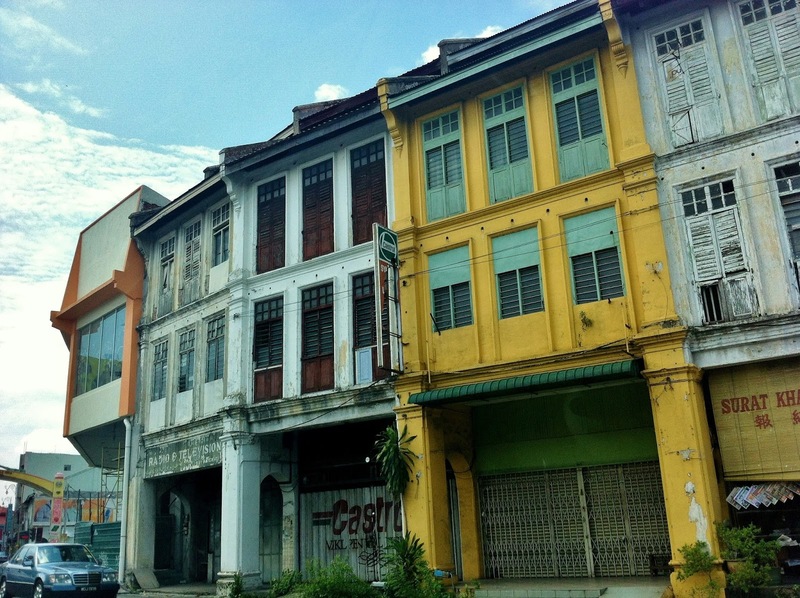 All these used to be developed in low rise shophouses and land has become limited nowadays. 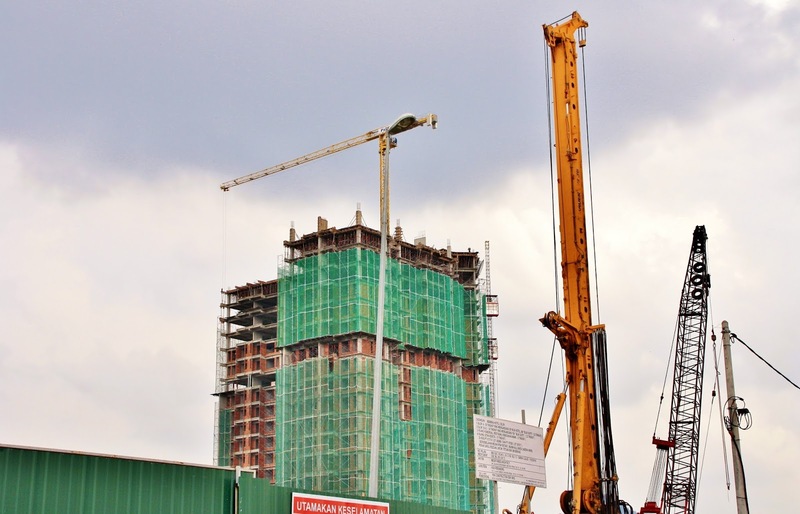 Since the first high rise MH Hotel completed, it seems future projects are focusing in growing vertically. 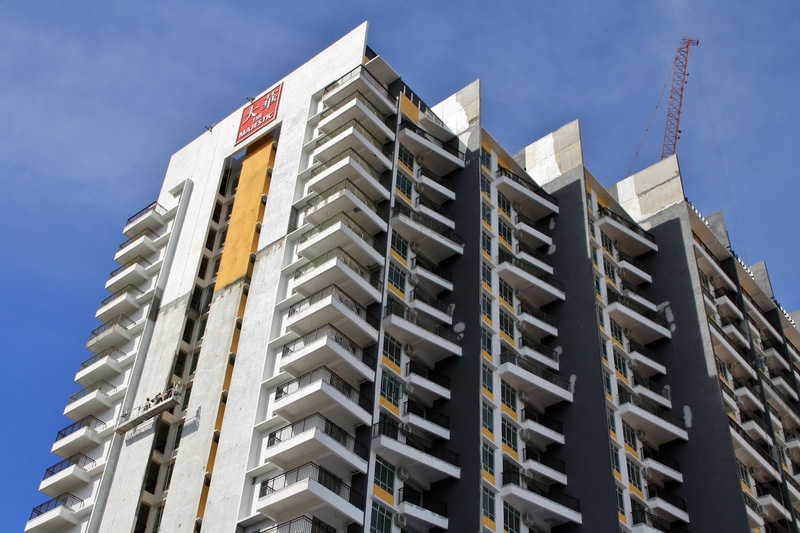 While D'Festivo Condominium still progressing aggressively, few more taller towers will rise adjacent to MH Hotel which will reach to a new height limit in Ipoh to have 30 floors. And yet there are several high rise proposals in the pipeline. 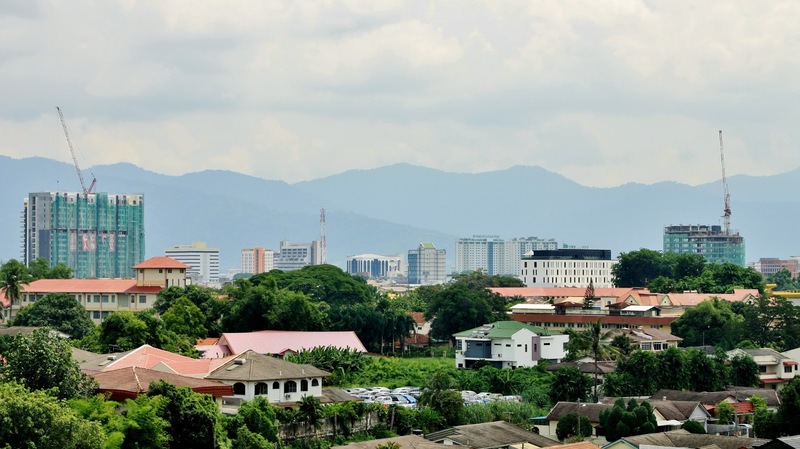 Probably in 3 years, this Ipoh's northern gateway will display a new metropolitan skyline. A scene that looked like 1970's is sometimes found in Ipoh downtown. 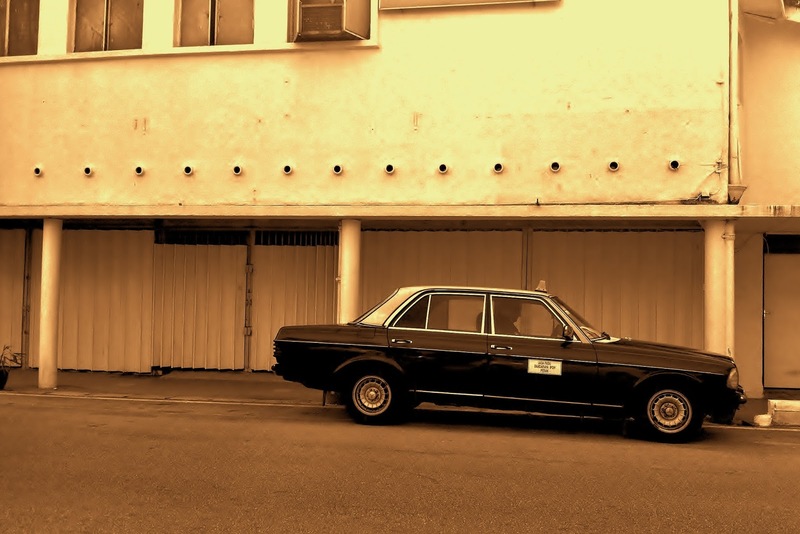 When a city is rapidly developing and changing, many things would be wiped off and vanished unwittingly. An old taxi in front of an old shophouse could lead to a feeling of back in time. 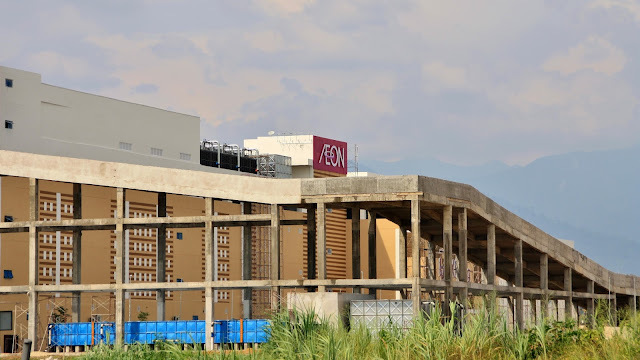 It's just 3 more months from now to the expected opening of Aeon Mall Klebang by end October. The exterior begins to see Aeon's identity & some typical graphical paintings. Although the population in Klebang vicinity is growing, with its location far north from the city center, it is still a challenging task to ensure sufficient sales & profitable business. However, there will be several new well-known brands landing in this mall that would be its strategic point to attract people around Ipoh to willing drive longer & shop here. For more than 2 years of construction, the two blocks of The Majestic are at its final stage to completion. 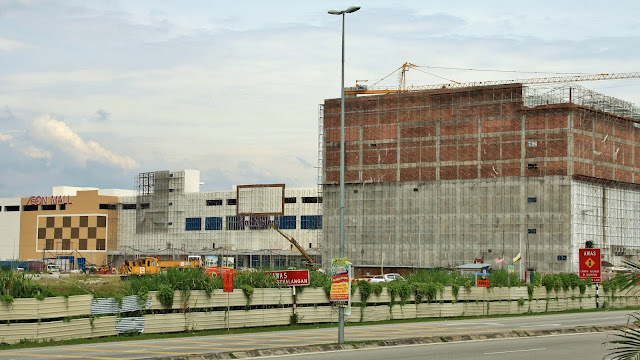 The Octagon, which suppose to make 23 floors, is still struggling to catch up in height and will soon join The Majestic & Kinta River Front Hotel to form a new height limit line of Ipoh downtown. 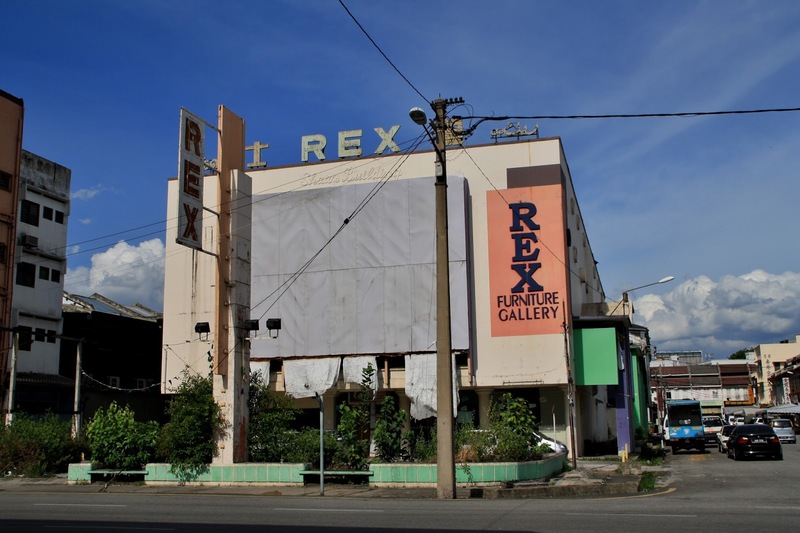 After some years, the building of previous Rex Cinema is going empty again. The furniture shop had occupied for few years and is now moved to somewhere else in town, leaving this old cinema building an unknown fate. This is right in the heart of Ipoh city. Will it be demolished for making new building, or it will be remained & turned into some other purpose? 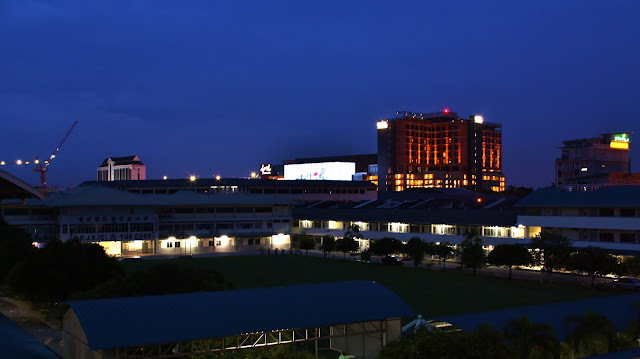 Ipoh is always left behind in pursuing a metropolitan skyline. 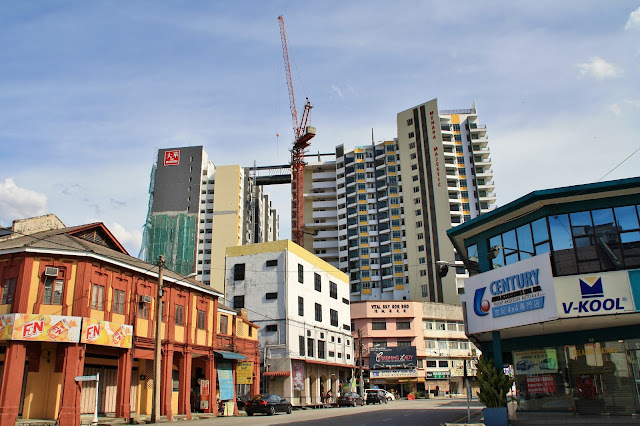 There is a dream of many Ipoh folks to catch up with other Malaysian cities to build tall & big buildings. However, is it better to just have more and more high rise buildings? To me, the best skyline shall consists of skyscrapers with well-designed, built in quality, strategically located, and stays in harmony with the older part of downtown. As at this moment, there is no good planning to bring Ipoh towards achieving great skyline, but I have seen proposals by the city council to "kill" the heritage buildings by having modern high rise buildings surrounding the heritage landmarks. 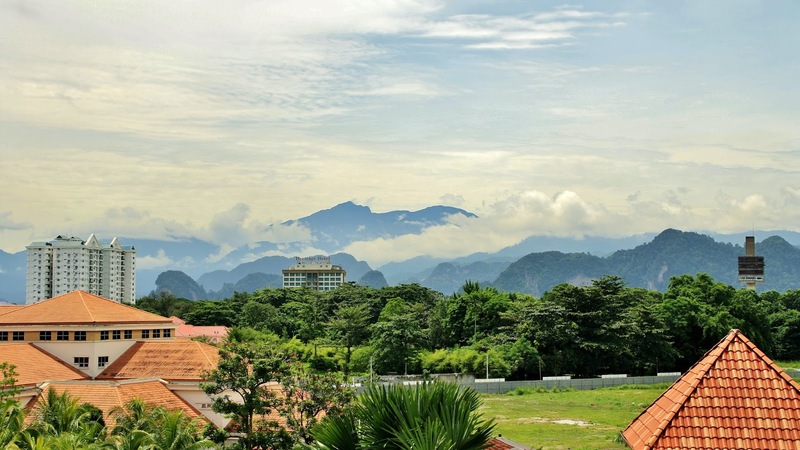 Limestone hills & mountains cascading and form a beautiful scene, with Mount Korbu appears as the highest peak in the ﻿photo. Nonetheless, Mount Korbu is truly the highest peak of Titiwangsa Range, the back bone of Peninsular Malaysia. It's been too busy in the pass 6 months that I have ﻿to abandon my beloved blog. 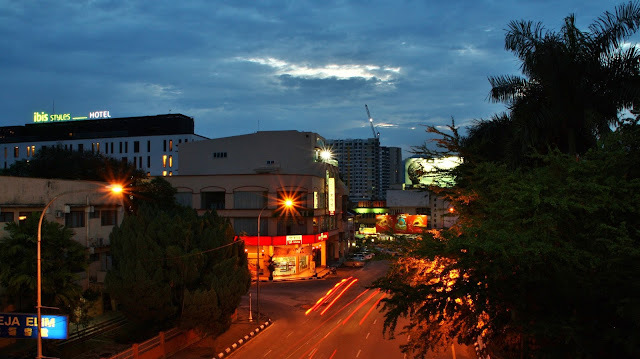 However, situation changed and I am now available again to share the images of my hometown Ipoh. Let's start with some skyline photos without much writing. I hope this is a good restart and I do not wish to leave this blog untouched anymore. If you are still with me, I would be very grateful with & appreciated your support.